With Halloween right around the corner we have been cooking up some really cool DIY costume ideas. Our Mermaid Goddess was a collaboration between myself and Ashely Arrow. Ashely is super crafty with EVA foam, and modge podge and as many of you know, I love painting so it’s a match made in heaven. I mentioned this on my Paint Me Green page, about the changes that Silly Farm has gone through over the past 2 years and that I was letting go of the need to spoon feed everyone my ideas. 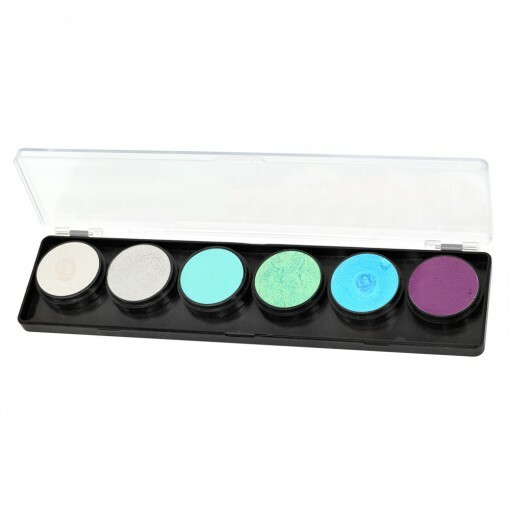 So I stepped back and supported the “fresh paint” in my business to open a sister site called FXCosplay.com. FXCosplay.com caters to the cosplay and FX enthusiasts. Silly Farm is known for its dedication to face and body painters and it wasn’t fair to push that down the throats of people just wanting the perfect shade of green to Cosplay as Gamora. Ashley, Vanessa, Dani, Emily and I put our creative minds together and started working on videos, DIY ideas, and tutorials to share with any and every creative person. Once we got into making the props, painting to match the props and posing our models in our fabulous light ring WHOA! Sometimes when you are so deep into the “business” side of business you forget how much fun you can really have! 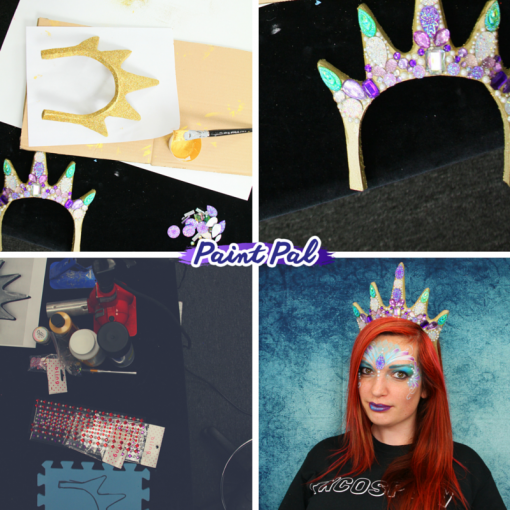 So Ashley started off with a tutorial on how to use EVA foam to make a blinged out crown that is awesome for a mermaid or any other character that deserves a gorgeous crown. After watching it I was so intrigued and excited to cut up my sons play mat and start creating! 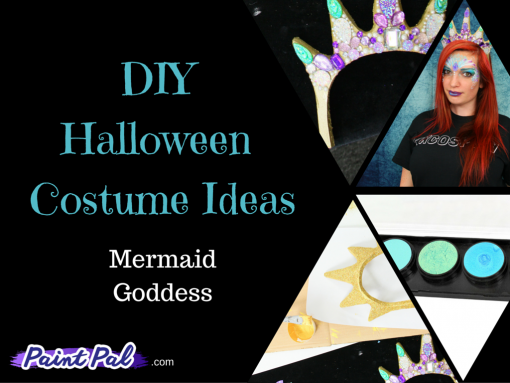 Then once we created the crown we couldn’t stop there we used a custom Mermaid palette we designed for our site FXCosplay.com and filmed a quick tutorial how to create a Mermaid-is face painting design. The good news is that we have lots more DIY inspiration on the way! Stay tuned for a Minion, Harley Quinn, Sugar Skulls, and so much more! We are hoping to launch new videos weekly so make sure you subscribe to keep in contact and to receive updates as new tutorials become available. And dont forget we want to hear from you! Have a suggestion? Need help with an idea? Email, chat, or call us and let us know what you want to see or want to learn how to use. Silly Farm is a business by painters for painters, so make sure to connect with us and let us know what you want to see. Thanks for tuning in and I hope you enjoy!